Dr Suchitra Paramaesvaran, more familiarly known to her patients and colleagues as Dr Su Para, graduated from medical school at the University of Sydney, Australia in 1989. Following her internship year in 1990 she completed residency terms in general surgery, vascular surgery, urology, plastic surgery and ear, nose and throat surgery at which time she knew that this was the surgical specialty for her. She commenced her ear, nose and throat surgical advanced training in Sydney in 1996 and following completion in 1999 travelled to the USA to do a visiting fellowship in rhinology at the University of Pittsburgh Medical Centre (UPMC), Pennsylvania. On return to Sydney she accepted a locum VMO position at Nepean Hospital in Penrith and was subsequently granted an appointment at the hospital. She then commenced private practice in the area in 2002. The following year the practice was expanded to include rooms at Westmead. Her special interests are rhinology and paediatrics. Over the years the paediatric component of the practice has expanded thanks to the addition of her paediatric nurse who works with her within the practice and at the hospital, as well as her two paediatric anaesthetists. She is a Fellow of the Royal Australasian College of Surgeons and a Member of the Australian Society of Otolaryngology Head and Neck Surgery. She has VMO appointments at Nepean Public Hospital and Westmead Private Hospital. 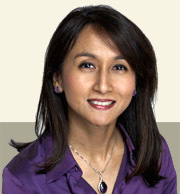 Her aim as an ENT surgeon is to offer the best ear, nose and throat care to her patients. More importantly, her philosophy as a doctor is to provide the best medical approach for each and every patient.